Airport Transfers Mallorca to Alcudia, Magaluff, Pollensa, Banyalbufar. 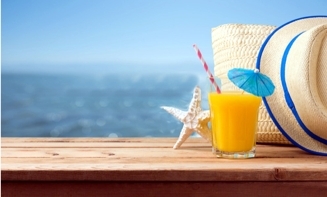 Would you like to make your next holidays super exciting? Go for Majorca (Mallorca) this time. It is a beautiful place for perfect holidays. Amazing weather, charming beaches and wild nightlife, are some ingredients to make a trip ultimate. Majorca (Mallorca) is the largest island in the Balearic Islands archipelago, which are part of Spain and located in the Mediterranean. 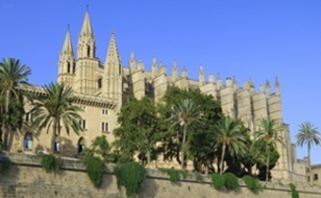 The capital of the island is Palma, the island is an extremely popular holiday destination, particularly for tourists from United Kingdom. The international airport, Palma de Mallorca, is one of the busiest in Spain. 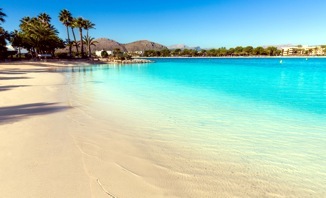 The island of Majorca is known around the world for its warm weather and for its wonderful beaches. It has the most amazing museums that you will love to visit. Surrounded by approximately 300 beaches, this place is considered the best for romantic couples. 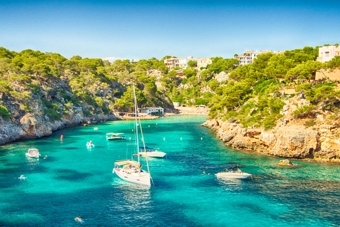 Island Palma, Soller, Can Picafort, Calla Millor, Valldemossa, and Cala Ratjada are some of the main reasons that attract visitors from around the planet to Majorca. 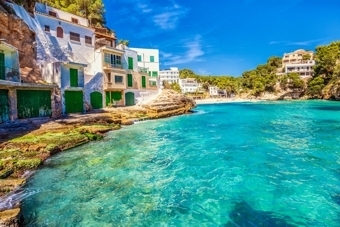 The best holiday destinations at Mallorca are Palma, Alcudia, Can Picafort, Calla Millor, Colonia Sant Jordi, Magaluff, Cala Ratjada, Formentor, Son Vida, Andratx, S`Arenal, Santanyi and Cala Murada, etc. To get to this place you need a ride from Palma Airport with our Airport Transfers Mallorca. With the reliable and convenient shuttle service, it can be a great fun to explore Mallorca. cheap transfer rates 115 € / 2 pax. We offer you a Taxi Mallorca service from Airport to Hotel, from Hotel to Airport or to Cruise port. Taxi Mallorca. To get the best Taxi rates check our Prices for a reliable and reasonably priced airport transfers from Palma de Mallorca. We offer you a private Palma Transfer from Airport to Hotels in Alcudia, Cala Ratjada, Palma, Can Picafort, Calla Millor, Camp de Mar and many other destitnations without stop overs direct to ypur Hotel or holiday home. Every traveler deserves a comfortable and convenient ride. Mallorca Transfer, it is one of the most essential factors to make a journey even smoother and full of fun. At Airport Transfers Mallorca, we offer reliable and reasonably priced airport transfers from Palma de Mallorca Airport to holiday destinations in and many other places. We allow our travellers to enjoy the trip by offering the best airport ride. Our private Airport Transfers Mallorca service is very popular and the reasons are many behind it. 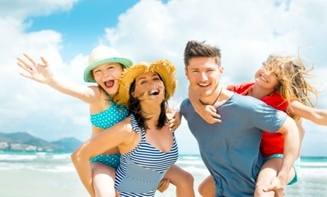 One of the most important reasons why travellers love to book our Majorca hotel transfer is we provide the modern fleet of well maintained and completely insured minivans and minibuses. According to the expectations of the travellers and flight schedule, we send our chauffeurs right at the given address. Our drivers take the travelers from Mallorca Airport to the destinations the choose. After a long, tiring travel, we allow the travellers to sit back in comfort and safety and enjoy the ride. We provide all these services at very low prices. What’s more? We provide great customer service to the clients. Once the travellers book our services, they don’t need to wait for a vehicle anywhere. You will be picked up from the airport, hotel or home to bring you wherever you would like to go. Our Mallorca hotel transfer service is available for destinations including, Alcudia, Can Picafort, Cala Ratjada, Formentor, and more. You can also book our Mallorca Airport Transfers service to Son Vida, Andratx, S`Arenal and Cala Murada and many other places. Check our rates for Hotel Transfers Mallorca. We provide all these services at very low prices. What’s more? We provide great customer service to the clients. Once the travellers book our services, they don’t need to wait for a vehicle anywhere. Check our rates for Airport Transfers Mallorca. If you decided to start your holidays in a relaxed condition, you can book our private Shuttle Service Mallorca Service right here on our website. Please go to our online transfer booking page and book your transfer in 4 easy steps and get after 30 minutes your voucher by email. You do not have to pay anything before arriving at the airport. You will pay the total transfer amount directly to the driver in cash or online by Paypal. All our Transfers are Private Transfers and a door-to-door service. Our drivers will reach to your given destination to take you wherever you want to do. You need to share the pickup and drop off point while booking an Airport Transfers Mallorca service along with exact time. 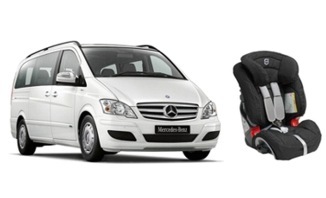 If you are with family, you can request for a child seat. We are confident you will be 100 % satisfied with our transfer services and reception of our drivers and other experts. You can call us on 0044 1223 790179 or email us to know more about the booking procedure. Euron Transfer will get you where you want to be on time. There is no chance of delay when you avail these services. If you have any further questions or special requests, also feel free to call our English speaking customer hotline. You can get us on the phone daily from 9:00 am to 9:00 pm. We hope to welcome you soon as a client of our Airport Transfers Mallorca Shuttle Service. Go on "Book Now" and reserve your transfer in just 4 steps, you have the possibility to book extras too, like golf luggage, child seats or even a wheelchair or bicycle. You are expected directly at the terminal 1 exit with a name board and driven to your hotel, otherwise there are no other guests. In the last years our Airport Transfer Service carried thousands of clients quickly and safely from different airports to their individually vacation destinations. We are offering our Service at many locations like in Greece with our Corfu, Rhodes and Crete Airport Transfers. In Turkey in Istanbul, Bodrum, Dalaman, Izmir and Antalya. In Thailand in Bangkok and Phuket. In Spain in Malaga, Ibiza, Alicante. We pick you up at the respective airport and even if your flight is delayed, our driver will know it and wait until your plane has landed. After your (perhaps demanding) flight you will be still awaited at the airport, to bring you to your final destination as soon as possible. Our fast online booking service with friendliest and dedicated staff to work with us will give you the best service. 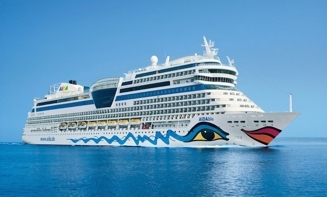 If you want to reach your holiday destination safely without any discomfort then choose us. We offer on-time and reasonably priced services to our clients. 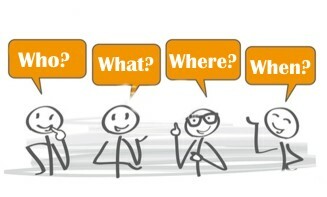 We don’t compromise with the quality of our services because of any reason. Being a leader in the domain, we understand that no traveller wants to miss the flight. This is why, we keep a track on flight schedule and always drop the travellers on time. We pick up on time without any stopovers from Mallorca Airport and Transfer you to any Hotel in this area. You can book before arriving to save 35% on each airport ride. The benefits of a Mallorca Airport Transfers are very popular and you can avail them all by booking Airport Transfers Mallorca for your next airport ride. When it comes to cost, it is quite reasonable. In compared to various other means of transportation, it is affordable.